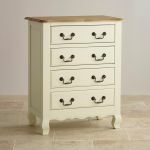 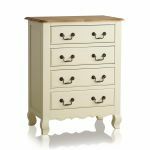 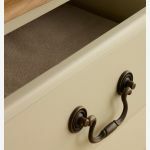 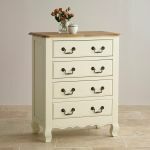 The lovely Bella Brushed Oak and Cream Painted 4 Drawer Chest comprises of four full-width drawers, providing plentiful storage space for garments and accessories. 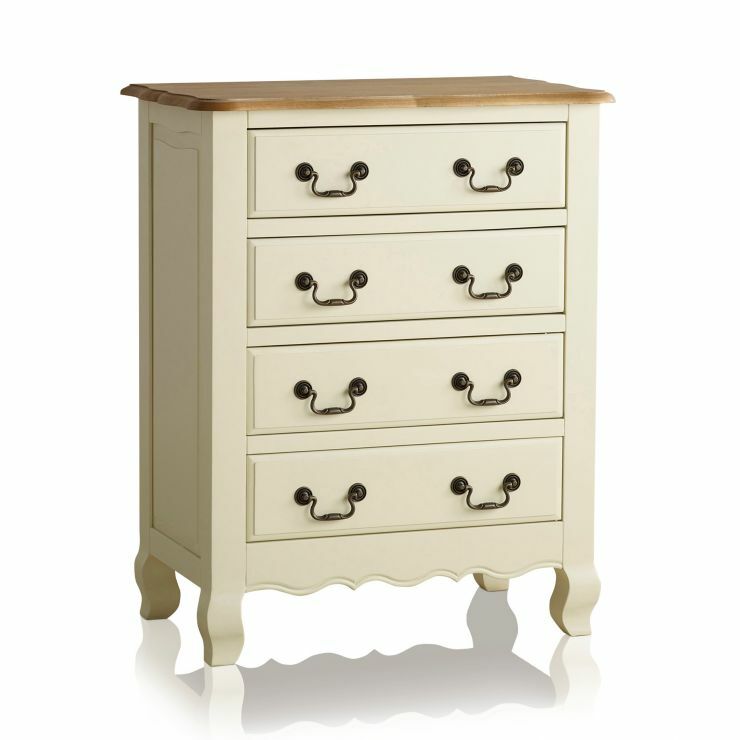 The cream paint and complementary brushed natural oak tops will add balance to a variety of colour schemes. 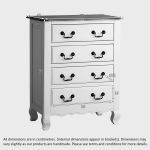 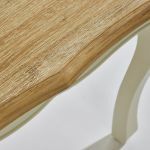 The bevelled-edge drawers are handcrafted by experts using only the finest solid hardwood – even the backs and bases. 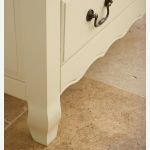 The exquisite undulating skirt and carved feet add refinement to this timeless design.